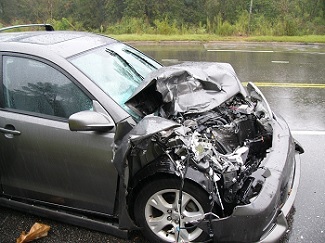 In most cases, when an accident involving a car occurs, the main issue becomes determining the driver at fault. Therefore, if the driver is found negligent, meaning, he/she did not adhere by the traffic rules, they are at fault. However, in certain situations, the law assigns the car accident liability to an individual who was not at the wheel or even in the car. As surprising as it may sound, it is absolutely possible and it has occurred in the past. Take, for instance, a driver who is involved in an accident but in the line of duty or service to his/her employer. Although the employer could be liable, there must be supporting evidence of that. Holding an employer liable for an accident occurs on either of the two grounds: Vicarious liability and employer negligence. Vicarious Activity: On this ground, the employer doesn’t necessarily have to have been negligent in any way. This doctrine of the law states that an agent’s actions are the same as those of the principal who directs the agent. This means that if the employee (agent) is working under the requirement (order) of the employer (principal) his actions are considered as the employer’s. The latter hence becomes at fault. Employer Negligence: This involves what the employer should have done but did not. They are held liable as it is their duty to do the particular task. Employer negligence can be looked at in two ways. One is where the employer fails to perform prior-hiring duties such as ensuring the driver is a safe one by looking at the necessary qualifications, work history and such. The second instance is where there’s negligence in supervision of the employees. Employers are required by law to put in place the necessary policies by which the employees must operate. It is therefore the duty of the employer to make sure the rules are followed. A car accident involving such a situation could see the employer put at fault. A company is held liable for a car accident if it is determined by the law that the fault was not the driver’s but rather the company’s. This could be either on the grounds of employer negligence or vicarious activity. A driver is held liable by the limitations of the law holding the company liable. For instance, if it is determined that the driver caused the accident intentionally then he/she, but not the company they work for, is held liable. Another instance is when the said driver, in between employer duties, goes out to carry out personal tasks and causes an accident. They are at fault. If you’re in such a situation and the employer/employee car accident liability is unclear, it is advisable to consult a lawyer/attorney for expert advice. The attorney will explain clearly what rules apply in that case and how to protect your rights. Have you been injured while driving your employer’s car? Are you a victim of someone else’s negligence? Attorney Bruce A. Hagen is ready to help you through the situation. Contact us today to schedule a free consultation.